On 2-3 December 2016, the 5th CAS-NAS Forum for New Leaders in Space Science was held successfully in Beijing. The meeting is sponsored by Bureau of International Cooperation, Chinese Academy of Sciences (CAS) and is jointly organized by National Space Science Center and Space Studies Board of The National Academy of Sciences (NAS). Prof. WU Ji, Director General of NSSC and Dr. Michael Moloney, Director for Space and Aeronautics of Space Studies Board delivered welcome speeches respectively. Sun Hui, Division Director of the Bureau of International Cooperation gave his warm welcome to the participants and stressed that the forum is a good platform for the bilateral communication in the field of space science. Four invited talks out of the 20 oral presentations of the forum were delivered by senior experts, e.g. 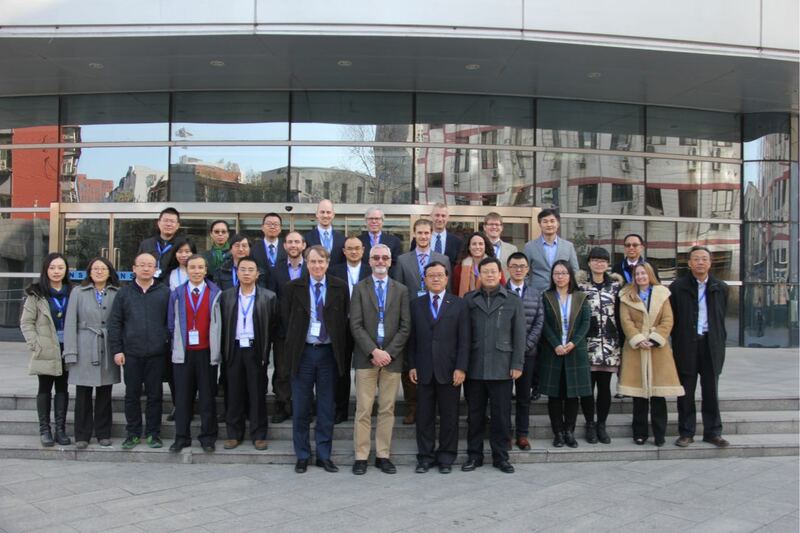 Peter Voorhees, professor of the Northwestern University, James Pawelczyk, professor of Pennsylvania State University, Long Mian, professor of Institute of Mechanics, CAS, and Pan Mingxiang, professor of Institute of Physics, CAS. Scientists from two countries engaged in in-depth discussion in the field of Space Life and the Microgravity Science. At the closing ceremony, Dr. Peter Voorhees made a summary on behalf of the US delegation, and pointed out that the space science transcends boarders and politics, and the interdisciplinary nature of the forum encourages the participants to learn the work of other field. Dr. Wu made a proposal that young scientists can communicate with each other and investigate together in their interested topics. Among the 30 participants, 12 US delegates are from Space Studies Board, NASA Ames Research Center, Northwestern University, Pennsylvania State University, Dartmouth College Geisel School of Medicine, University of Wisconsin Madison, University of Colorado at Boulder, University of Michigan, California Institute of Technology, University of Florida, etc. While the rest of Chinese participants are from National Space Science Center, Institute of Zoology Institute of Mechanics, Institute of Physics, Wuhan Institute of Physics and Mathematics, Shanghai Institute of Technical Physics, Dalian Maritime University, Institute of Mechanics, Hefei University of Technology, etc. The 6th NAS-CAS Forum for New Leaders in Space Science will be held in Massachusetts on 16-17 May, 2017.